The 2018 Showbiz season comes to an epic conclusion in September with Les Misérables – the third staging of this popular musical in the organisation’s 80 year history, and also the third to be directed by leading NZ musical director Stephen Robertson. As part of the inaugural NZ Theatre Month this September – a nationwide festival celebrating New Zealand theatre and the people involved in making it – Showbiz Christchurch is delighted to present their first Audio Described Performance and Touch Tour of Les Misérables. This is a ticketed event for a limited number of visually impaired patrons and their companions during a public performance. Winner of over 100 international awards and seen by over 65 million people worldwide, Les Mis’ popularity is undisputed but Showbiz wasn’t sure if it would also be a good candidate for an audio described performance. NZ Opera have previously audio described their productions of Madam Butterfly and Tosca at the Isaac Theatre Royal. Showbiz Christchurch’s production of Les Misérables is believe to be the first musical to be audio described in the South Island. Showbiz has engaged the services of a professional audio describer Rachel Sears who has been instrumental in championing accessible theatre. Sears will spend around a week watching rehearsals and preparing for the audio described performance on Sunday 23 September. She will describe the visual aspects of the show live to audience members fitted with headsets that enable them to also hear the live performance. The audio describing equipment is provided by Christchurch company BounceNZ who are industry leaders in theatre sound operation. Theatregoers who attend the audio described performance will also be able to take a backstage ‘Touch Tour’ prior to the show, so they can understand the makeup of the set, props, costumes and the physical nature of the actors before they attend the performance. 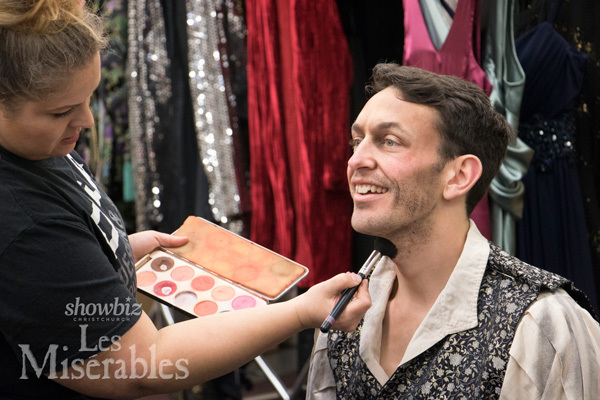 Showbiz also has plans to open up the doors backstage on Saturday 22 September so members of the general public can gain rare access and insight into what it takes to stage a large Broadway-style musical. Tour numbers are limited and tickets will cost $10, proceeds from which will go towards offsetting some of the costs of providing the Audio Described Performance and Touch Tour. 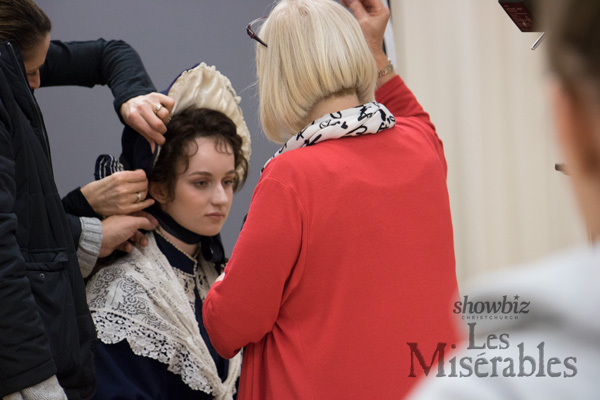 The Isaac Theatre Royal will also open the foyer from 11am to 4pm to view dynamic displays that chart the history of the theatre and some of the stage productions, and catch a glimpse of Les Misérables set from the auditorium. “These initiatives are part of the journey to make Showbiz Christchurch productions more accessible to a wider audience” says General Manager Michael Bayly. Information and tickets phone Showbiz Christchurch (03) 377 7954. 22 September 2018. Tour times: 10:30am, 11:00am, 11:30am, 12 noon and 12:30pm. Each tour takes 45 minutes. The Isaac Theatre Royal foyer will also be open from 11am – 4pm.